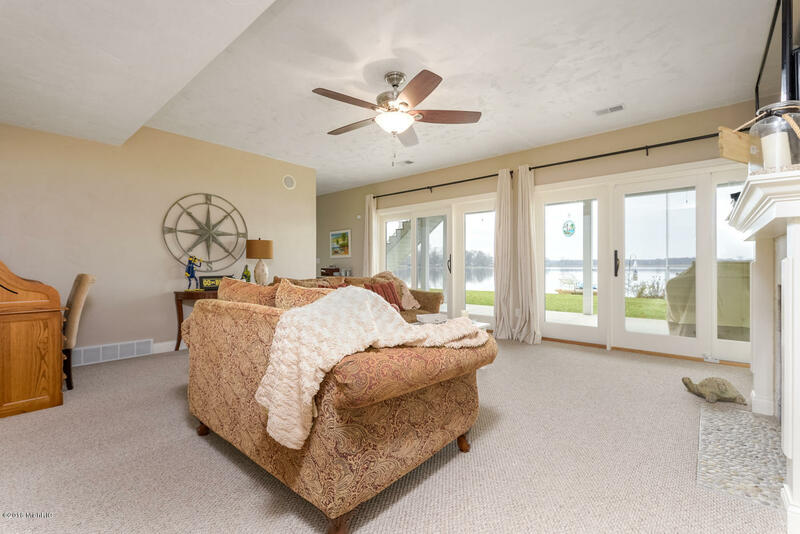 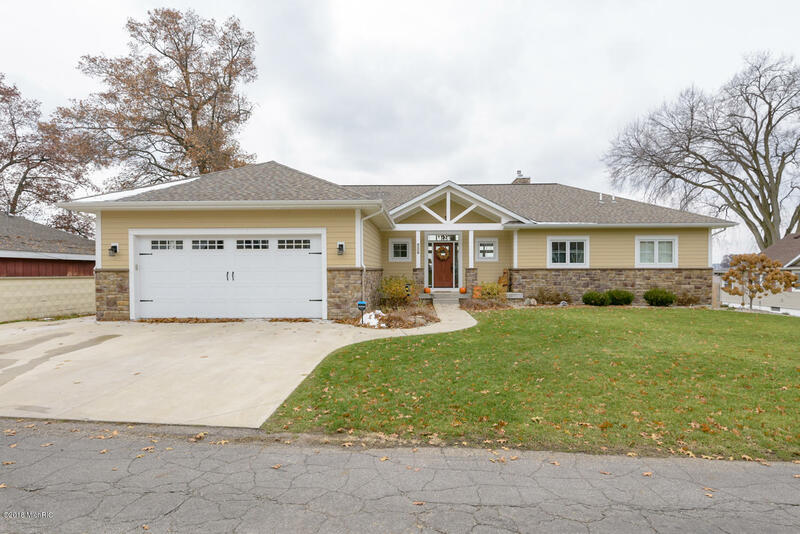 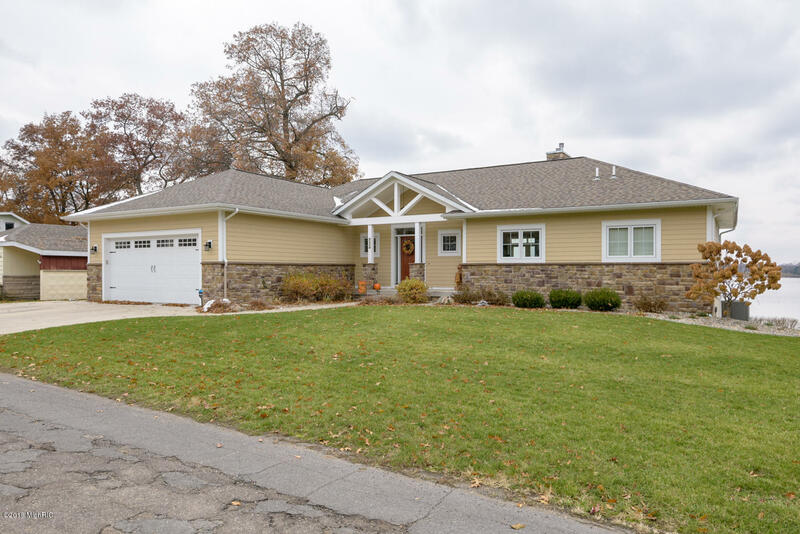 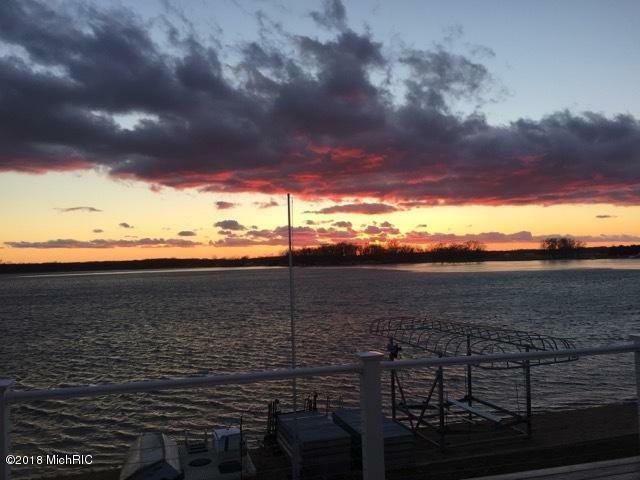 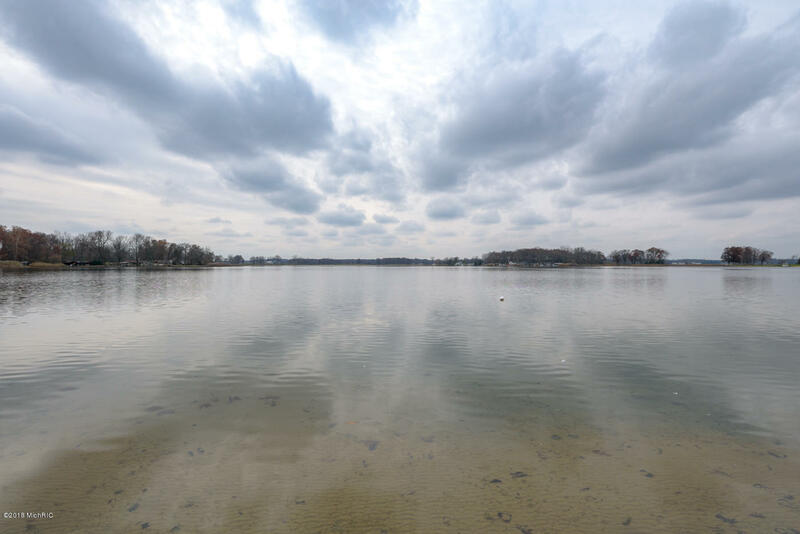 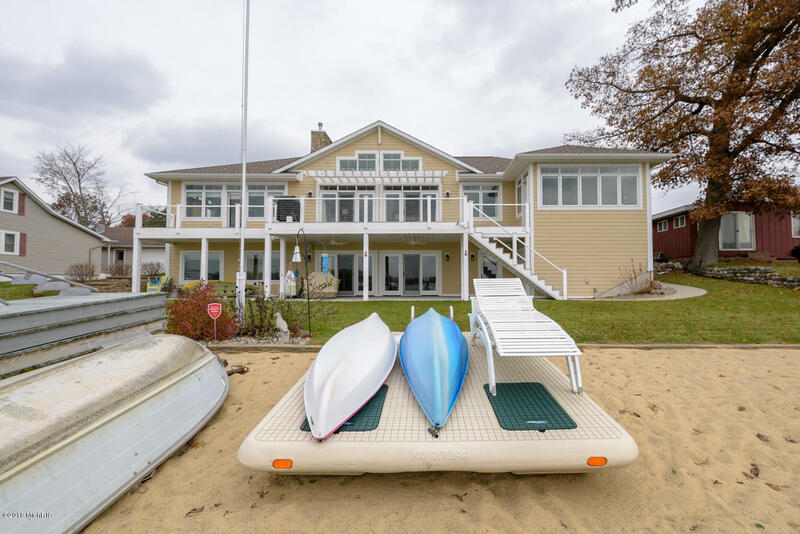 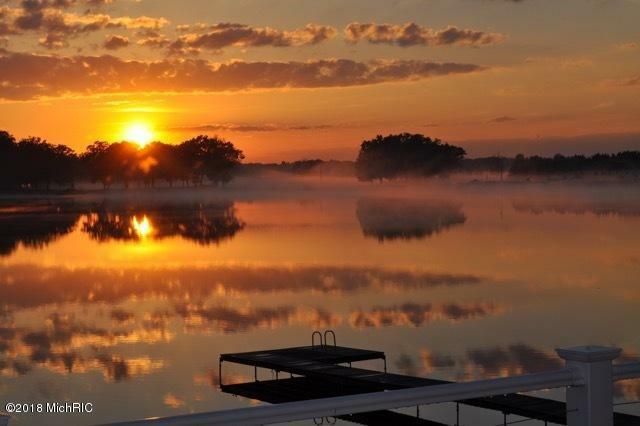 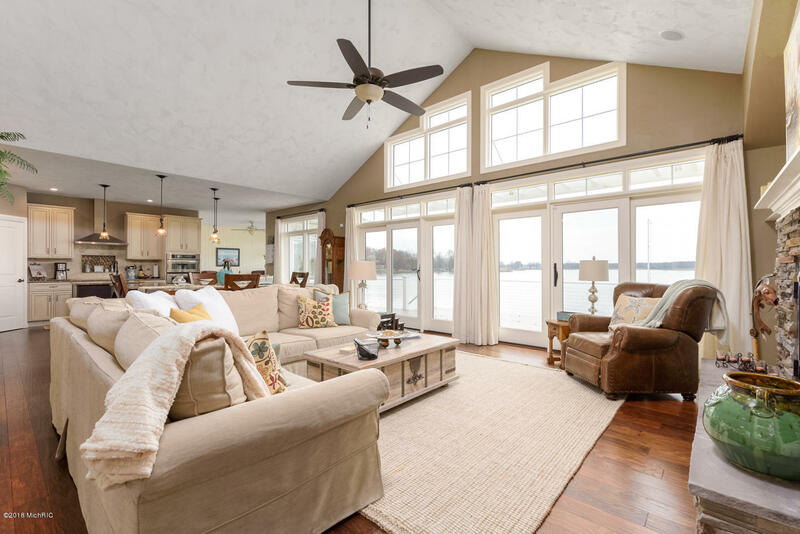 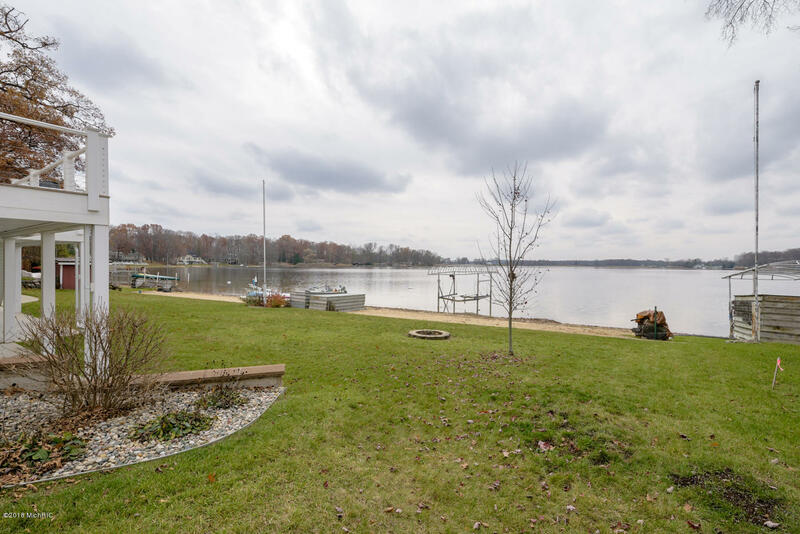 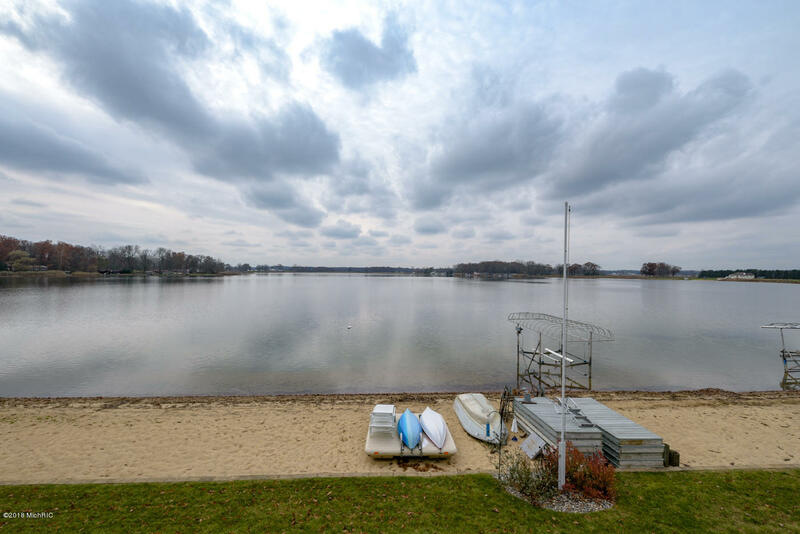 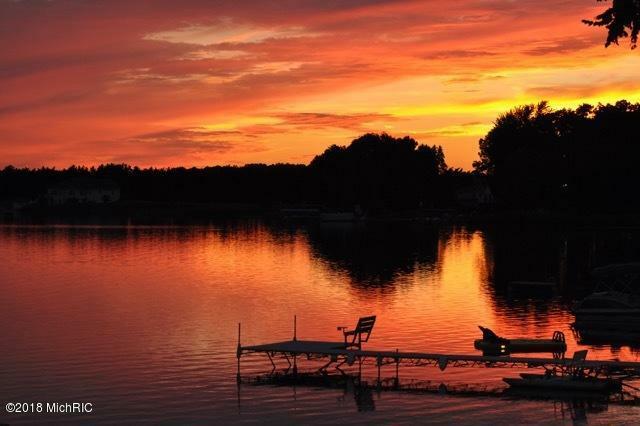 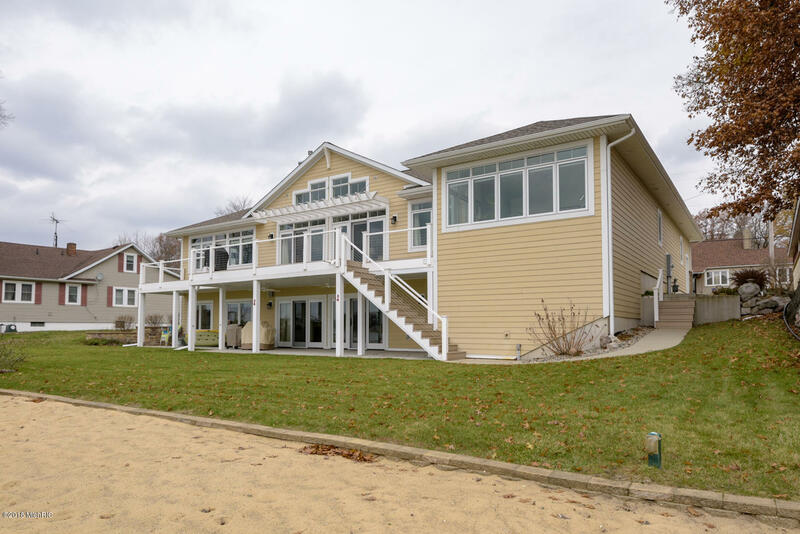 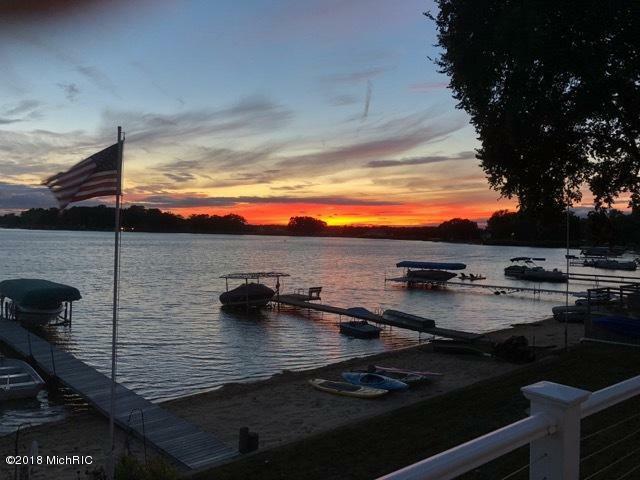 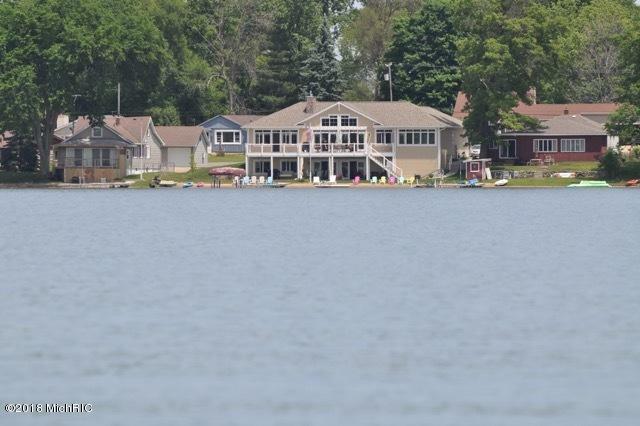 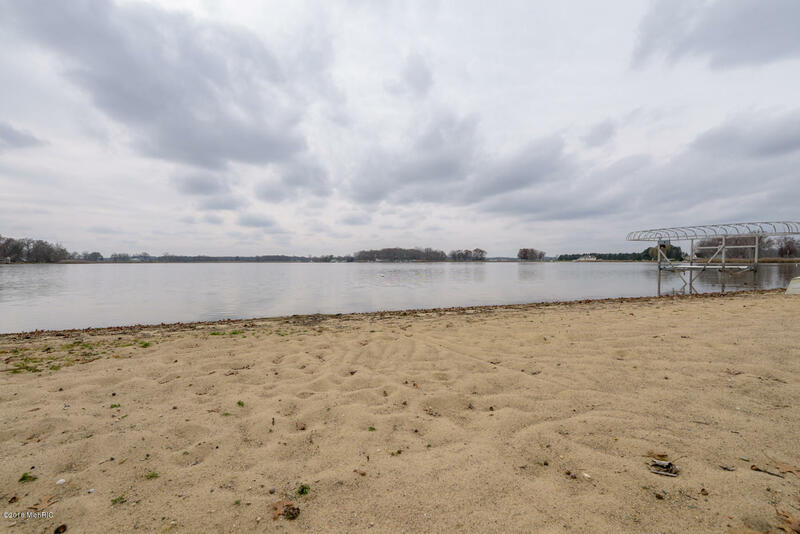 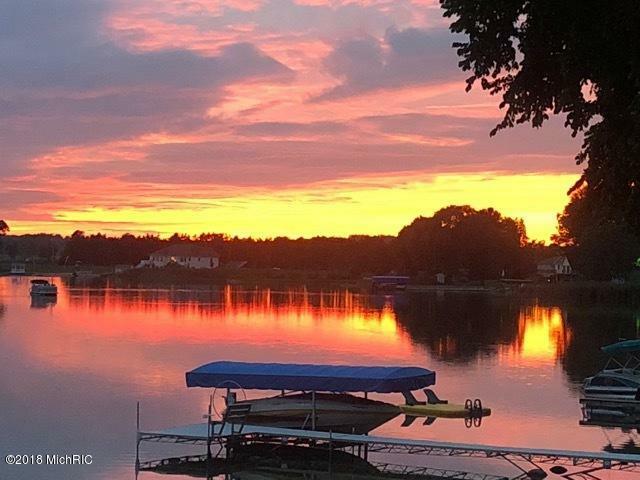 Lake Living on Wonderful Lee Lake - Absolutely gorgeous custom built ranch style home with 110' of sandy beach front. 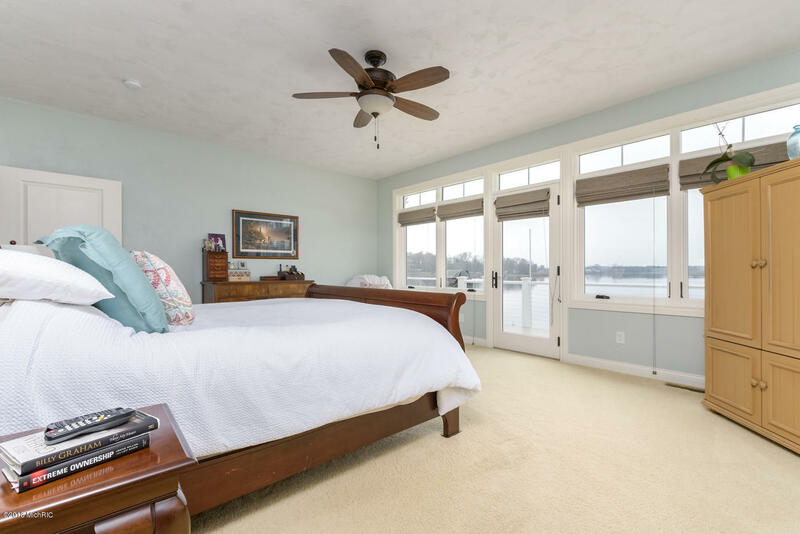 Spectacular lake views from every room in the house. 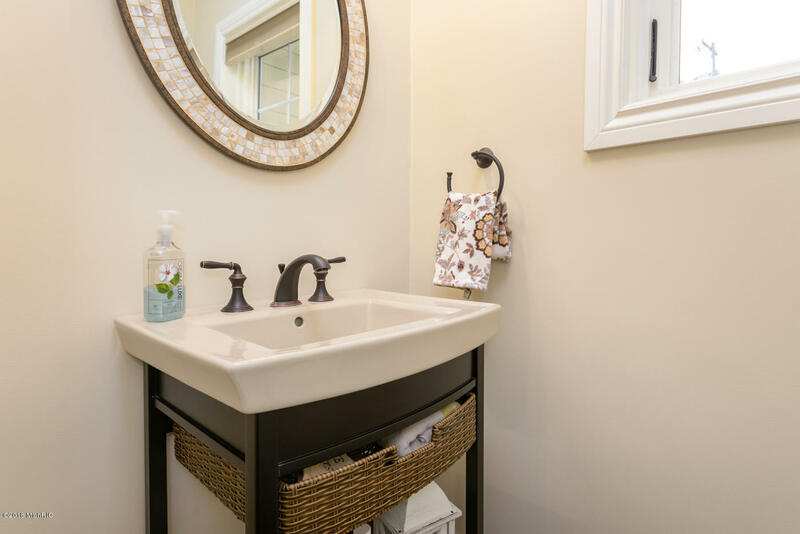 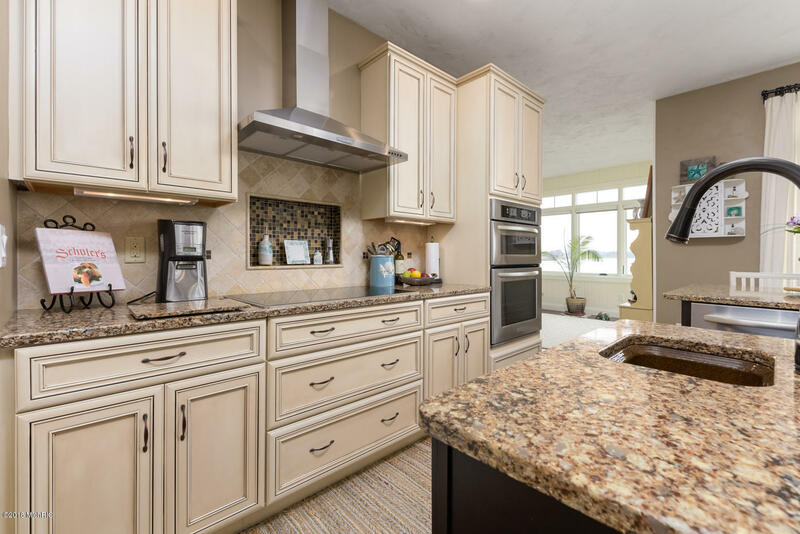 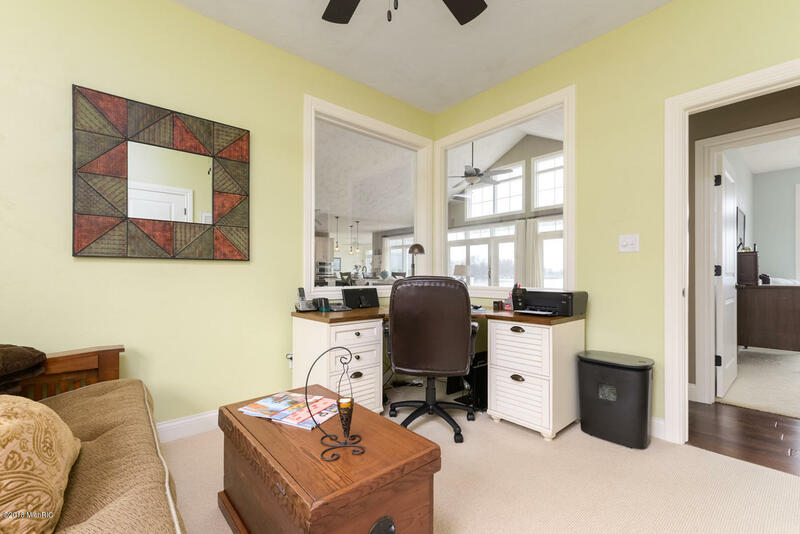 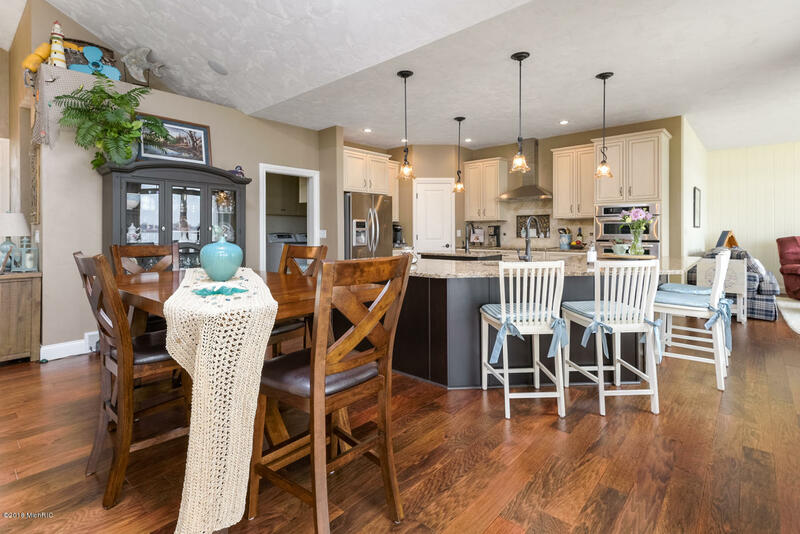 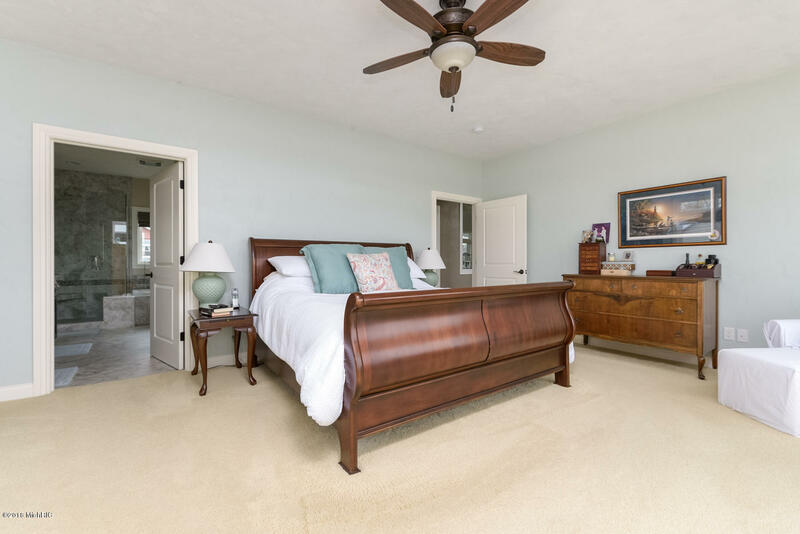 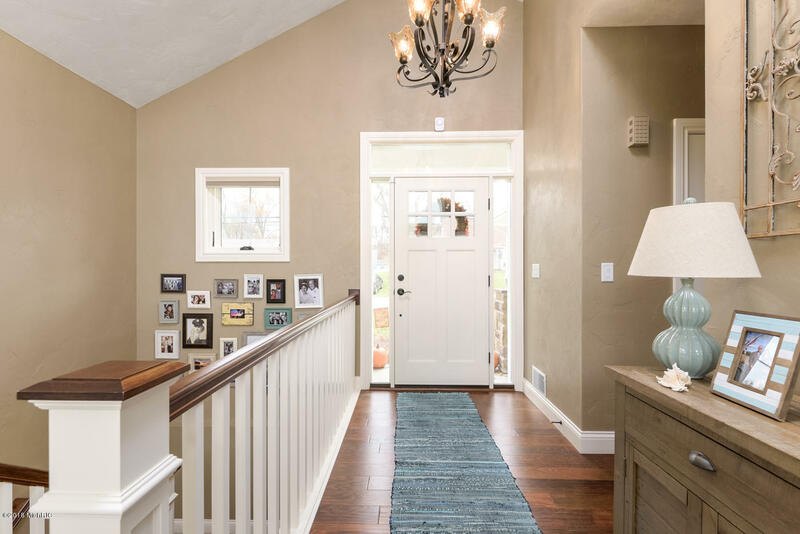 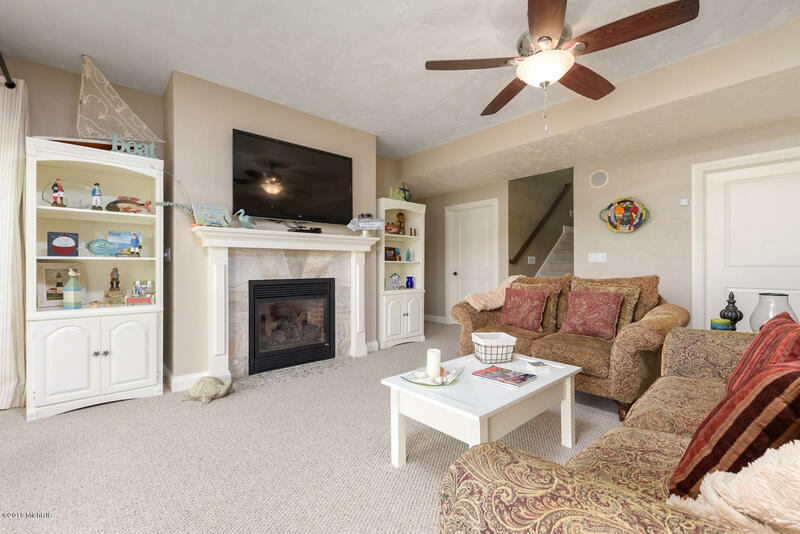 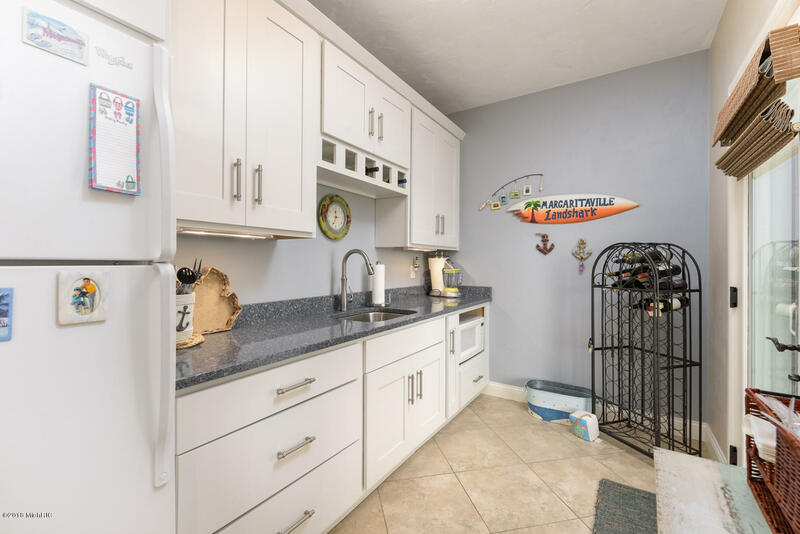 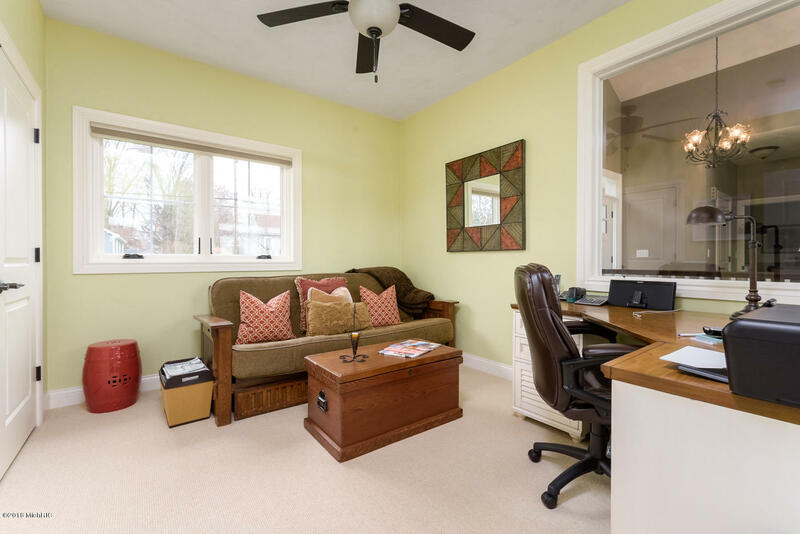 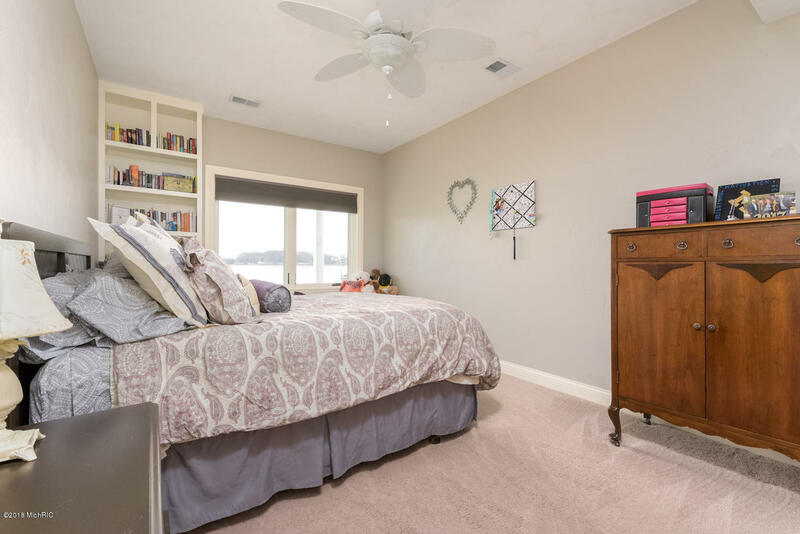 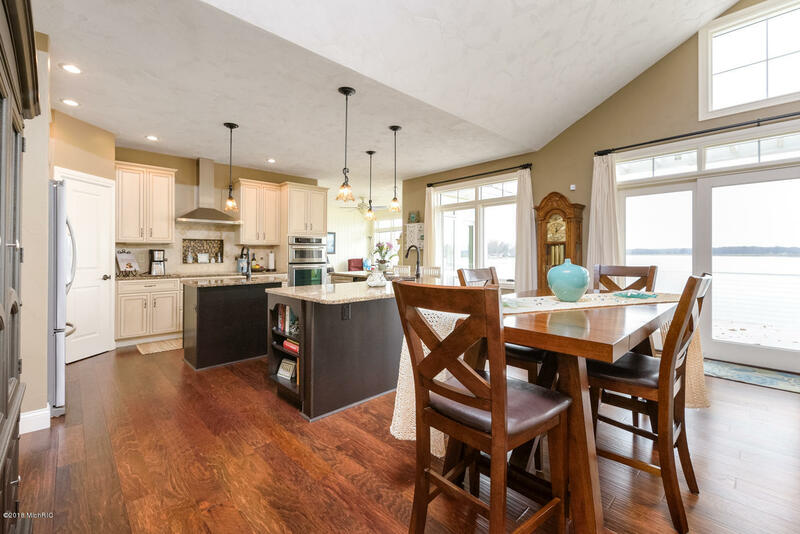 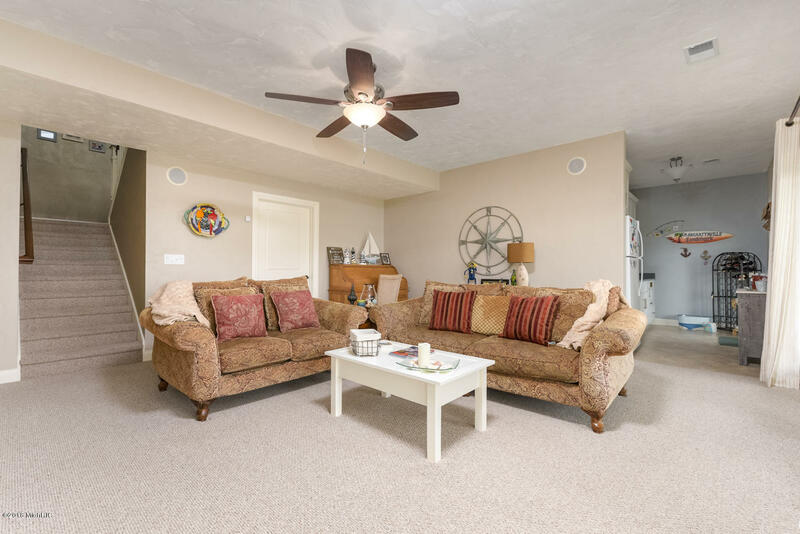 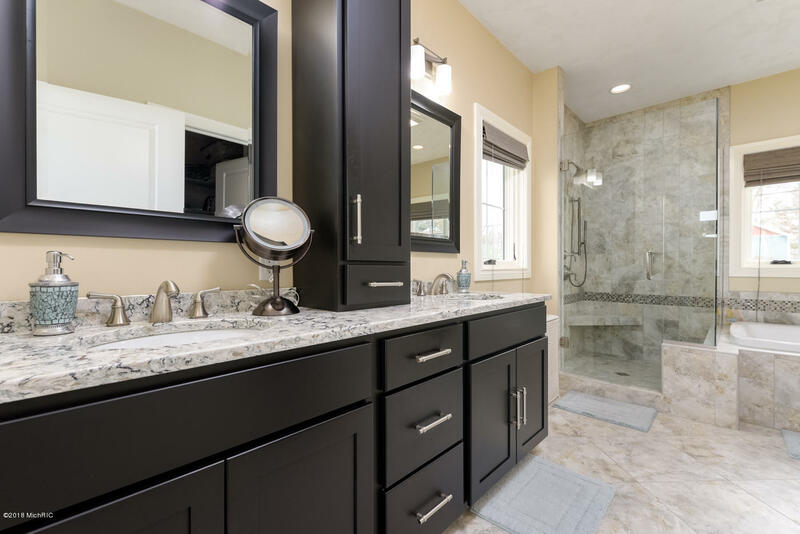 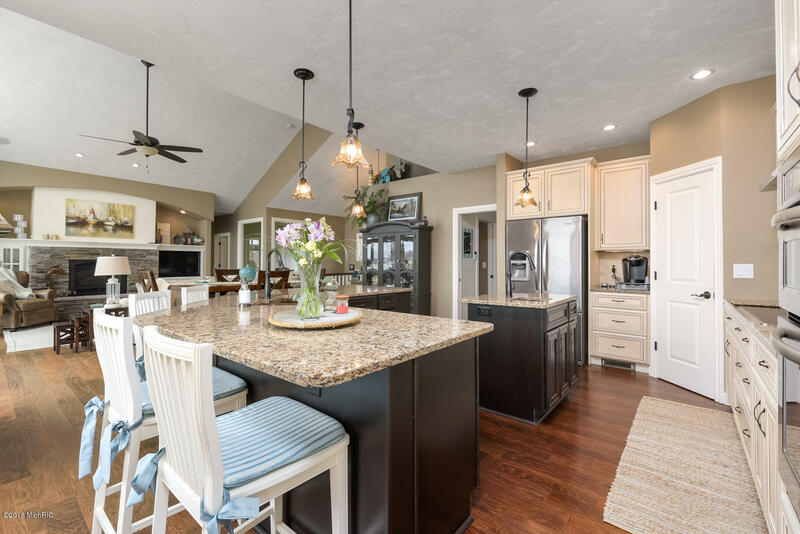 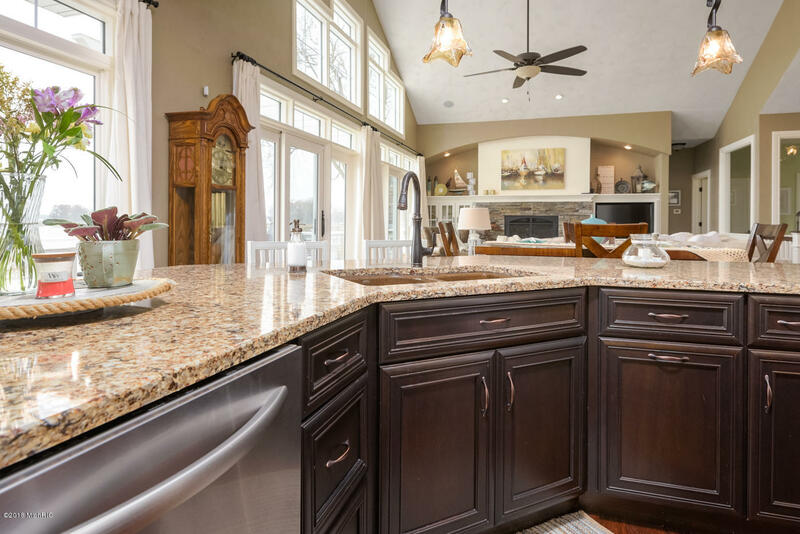 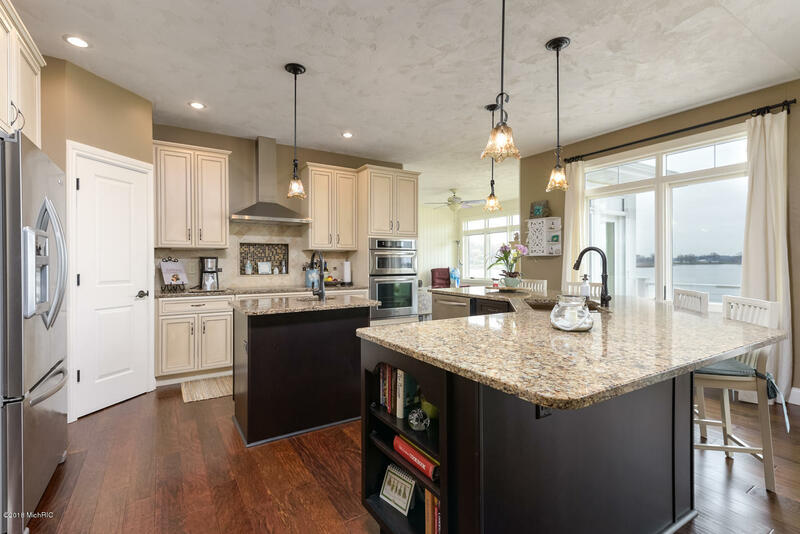 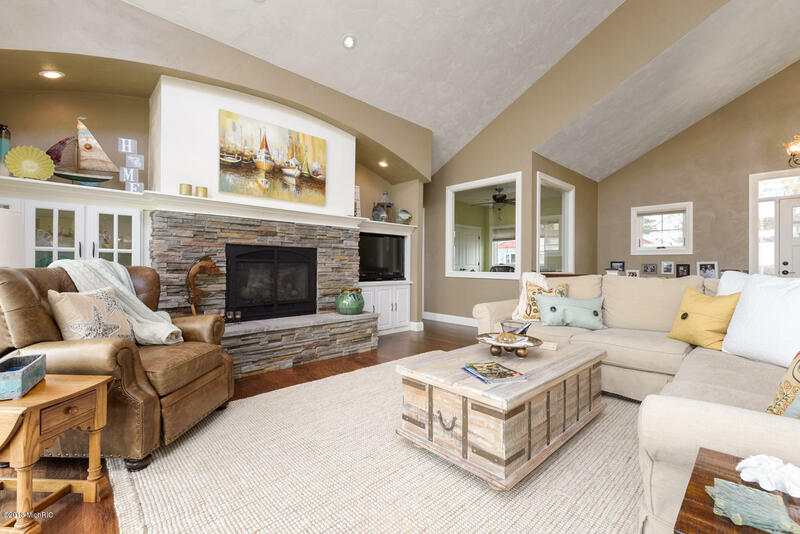 The main floor boasts an open floor plan with great room and vaulted ceilings, stone accent gas log fireplace in living room, beautiful kitchen with Cambria countertops, 4-seasons room and an office/den. 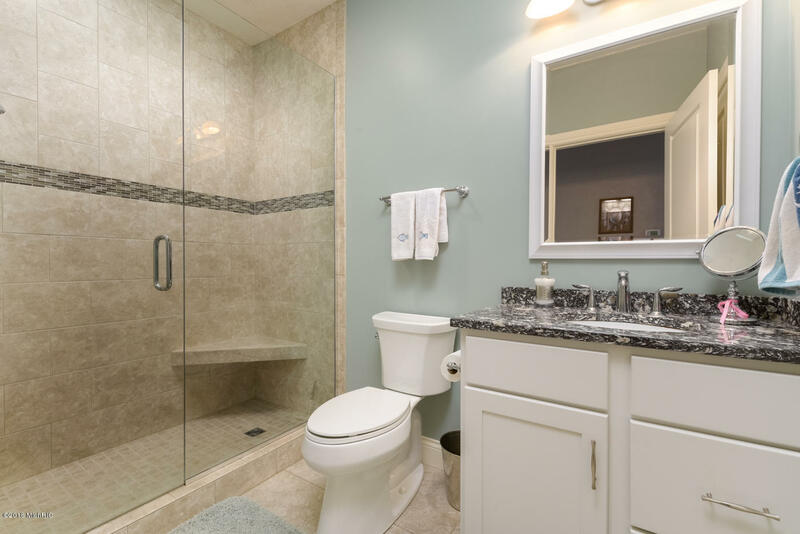 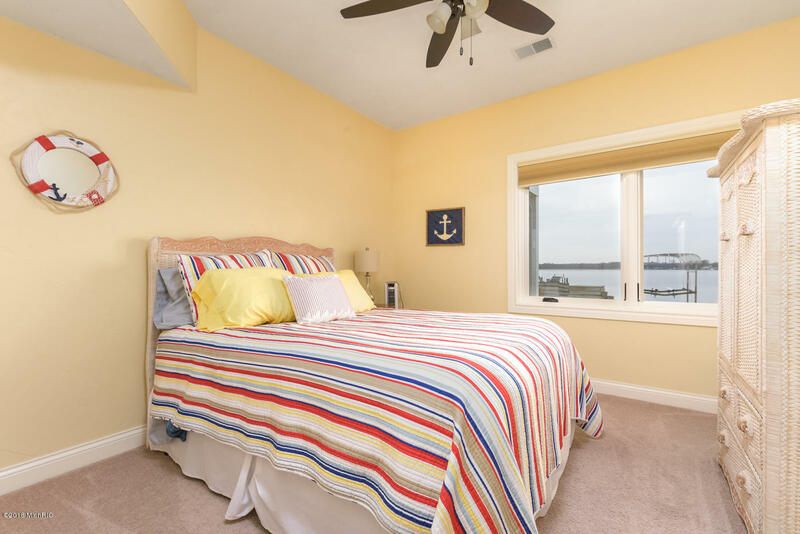 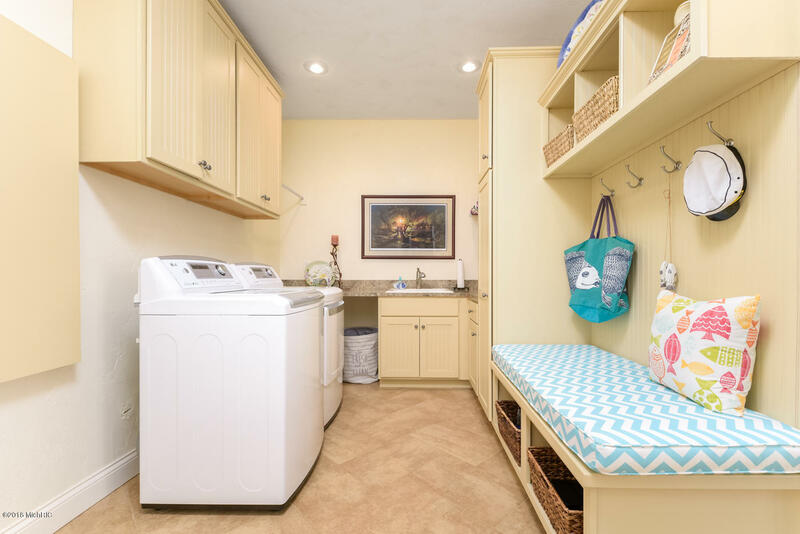 Also, on the main floor is the spacious master suite with spa like en-suite bathroom and main floor laundry. 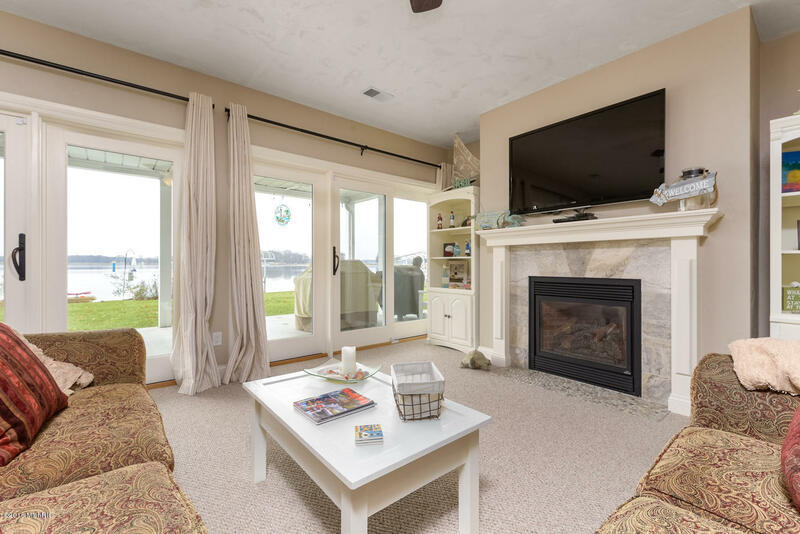 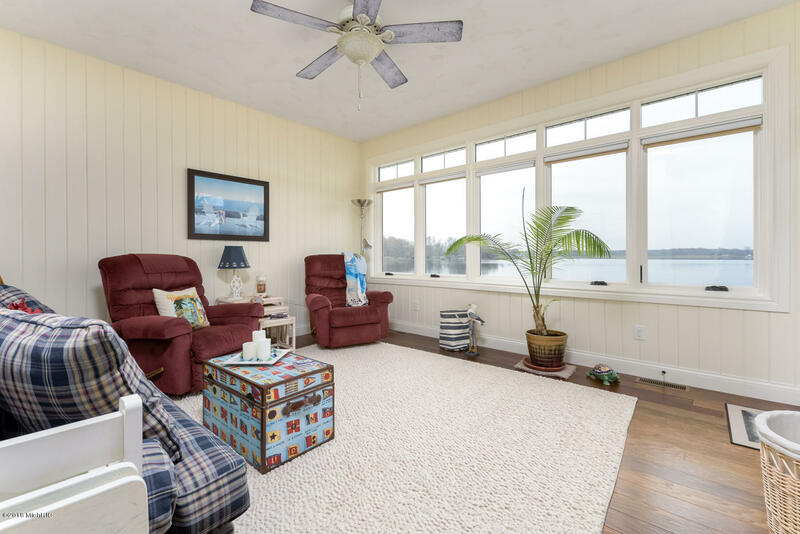 The lower level features 2 bedrooms - both with wonderful views of the lake, family room with another gas-log fireplace and kitchenette. 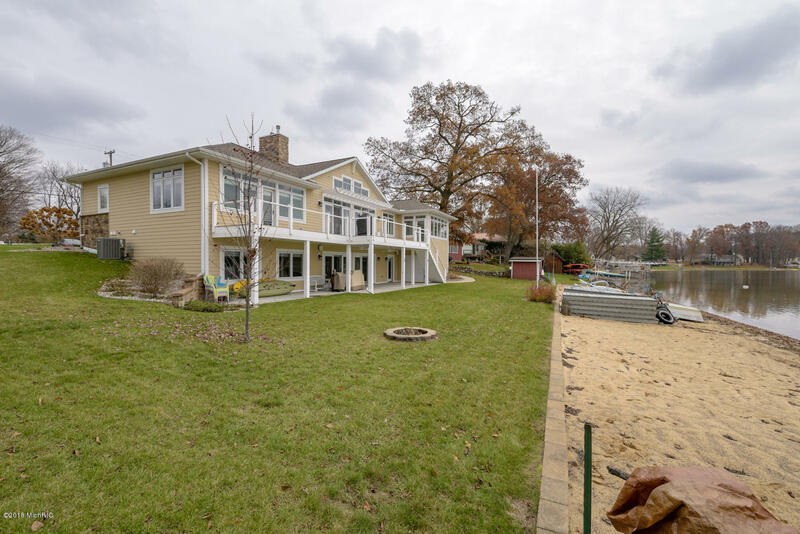 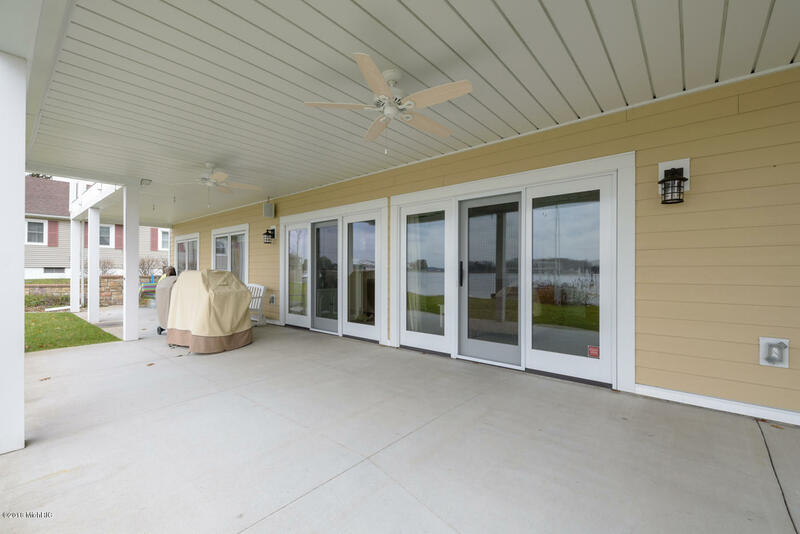 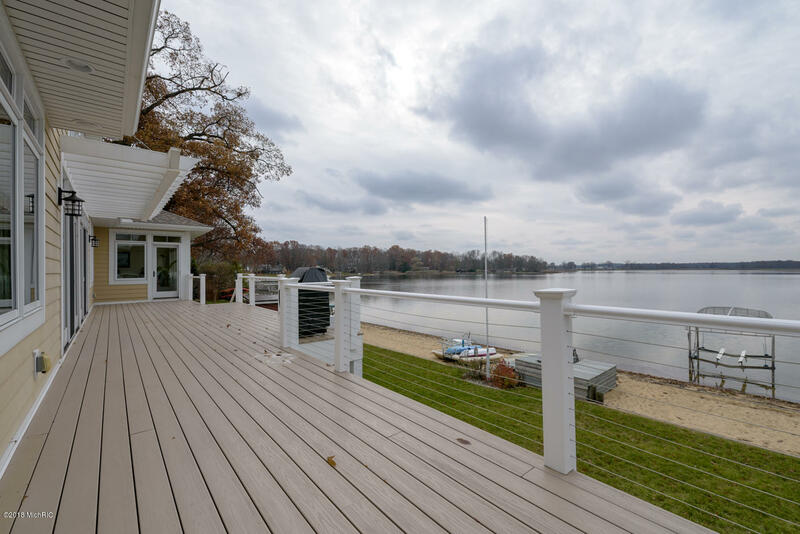 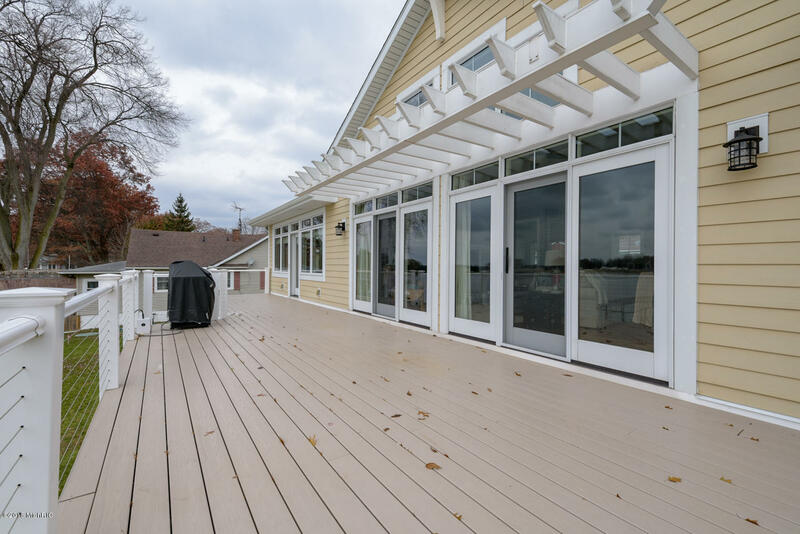 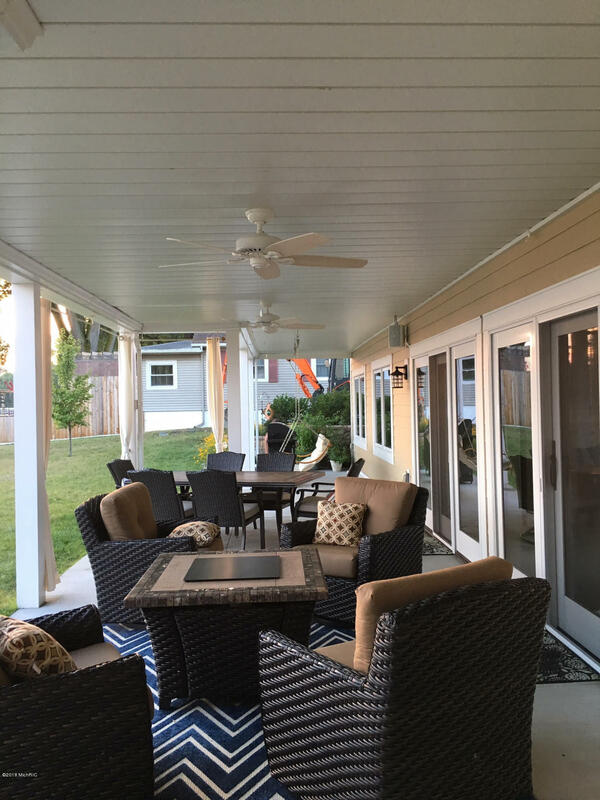 Composite wood deck has unobstructed views of the lake with wire railings and the lower level patio is wonderful for entertaining.